Citrus refreshing quickly fleeting to sour, it's the changing of leaves right before your own eyes. John Lanzador is an art teacher by day and artist by night. After a brief stint in California, John returned back to Cincinnati to embrace his woodblock painting after graduating from DAAP. Lanzador first made his mark in the Pendleton neighborhood with a mural on the south end of Broadway St. The mural would begin a long relationship with Artworks and the many artists who work alongside him. 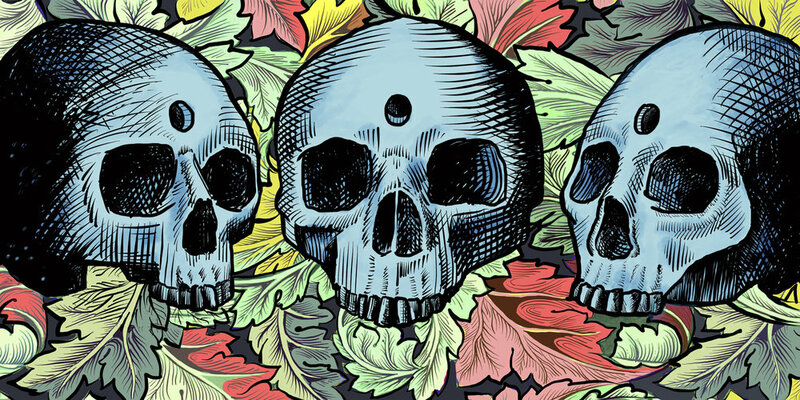 In recent years, John has adapted his patterns and techniques digitally as seen in his Du Jour artwork. The process of creating the imperfections that you would see in wood carving is a bit of natural adaptation, where he occasionally concedes an error to make the art look more natural. Keep an eye out for 10 special variants that our front of house staff have created from the base Berliner Weisse, a true Du Jour for 3 Points Urban Brewery.